I was nominated for this great award by Alice from Lipgloss Is My Drug. 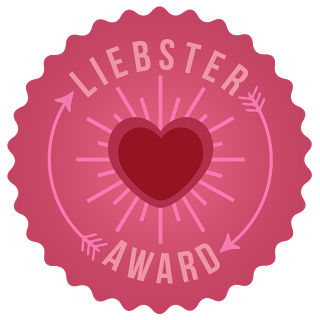 The Liebster award is intended to give some exposure to small blogs with less than 200 followers. ♥ Link back to the blogger who nominated you. ♥ Answer the 11 questions given to you by the blogger who nominated you. ♥ Nominate 11 other bloggers with less than 200 followers. ♥ Go to the blogs you nominated and notify them of your nomination. ♥ Give your nominees 11 questions to answer. 1. What is the one beauty product you regret buying or using the most? My MAC Mineralize Cream Compact Foundation, I went for a makeup session at my local MAC counter a couple of months ago and for some reason the girl used NW25 on me (even though I’m NW20). The shade looked ok on my skin in the shop (must have been the bright lights) and I stupidly bought it. My gut told me to rather go with NW20, but still I bought NW25. What a waste, it’s way too dark for my skintone. 2. You can only choose one colour nail polish for the rest of forever. What colour do you choose? Essie Fiji – best universal colour I have ever seen. I don’t think I will ever get tired of wearing it and will continue to repurchase it. 3. Quick! There is a fire and you have to run for your life. Which 5 items do you save first (no people or pets)? Hot Tools Curling Iron, Babyliss Big Hair Rotating Hot Air Styler, Naked Palette, Clarisonic Mia, Clarins Instant Smooth Perfecting Touch Primer. Makeup bag, medicine bag, wallet, Tangle Teezer (the compact one), iPhone 4, eos lipbalm, Soap & Glory Hand Food hand cream, sunglasses & Stimorol gum. It used to be Winter, but now that I have a garden I find myself looking forward to Spring when everything blossoms. 6. What advice do you have for newbie bloggers? If you want to make a success of your blog, you have to be willing to put in the time and effort. I sometimes spend 3 hours a day taking photographs, then another few hours editing the photos and then another few hours writing the blog posts. 7. What has been your favourite beauty product that you have bought or received? The Urban Decay Naked palette and I are in a long-term relationship. Nuff said. 8. Your ultimate brand of polish or beauty product. Which brand would you love to have everything of? 9. If you were stranded on a island what would be the 5 things you would want with you? SPF, toothbrush, deodorant, toothpaste, and endless supply of birth control pills. 10. What has been your most special moment during your blogging time? Meeting new friends and chatting on email & Twitter with my wonderful readers. 11. What is your weirdest habit, that most people don’t know about? When curling my hair with a curling iron, I always start on the right side of my head and work my way to the left. Thank you so much, Alice, for nominating me. It really means the world to me! 1. What is your Holy Grail bronzer? 2. Do you prefer straight or curly hair, and why? 3. What is your favourite drugstore makeup product? 4. Who are your Top 3 beauty gurus (can be Youtube vloggers or bloggers)? 5. What is your favourite skincare product? 6. If someone offered to buy you anything from MAC (as a gift), what would it be? 7. Do you prefer to shower or bath, and why? 8. What is your favourite hair care product? 9. Which nail polish brand do you prefer – Essie, OPI, Revlon, Sally Hansen or Mavala? 10. What is your favourite lipstick or lipgloss called? 11. Do you sometimes buy beauty products online? If so, which online stores do you buy from? thanx for the advise to us newbies. I also completely agree with your advice for newbie bloggers. It takes a lot of hard work and time. No wonder your photos always look incredible! I don’t take 3 hours with photos but I do take a bit of time to make them look better due to my awful camera. I need to invest in a better one stat! I don’t trust any of those deserted island people, and can you imagine being preggers on an island…? No thanks haha! Love this, thanks for nominating me gorgeous! I laughed at you needing birth control pills on a deserted island, too funny! Congratulations on being nominated! Love your blog! Wow, another nomination! Congratulations! Your blog is really special and you deserve it!